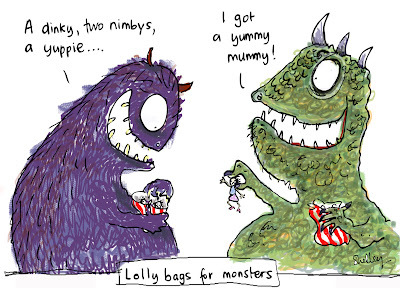 'Yummy mummy' is a ridiculous term. It no doubt got 'air time' because of it's humour. I get that, it sounds funny. But when you think about it, it is exactly as pictured above. Mother as consumable. Not content with good ole' objectification, we seem to be moving into straight cannibalism.